I will explore the history of the music industries in three parts, starting with the era before the 1950s in the first place. Until the beginning of the 20th century, the music industries have only been live performances and sheet music. The phonograph by Thomas Alva Edison and the gramophone by Emil Berliner were the first devices to record and play music. The gramophone became the more popular device, because it used easily replaceable shellac records and was designed for the purpose being a record player for the use at home, contrary to the phonograph (Huygens et al. 2001; Renner 2004). Enrico Caruso was the first hit record artist, signed by Fred Gaisberg. Therefore, Gaisberg was the first A&R manager of the recording industry and Caruso’s records were the first successes of the recording industry. In 1921, recorded music sales in the USA made revenue of 106 Millions US-$ (Renner 2004). In the 1920s, the invention and introduction of the radio caused new opportunities but also a serious crisis for the recording industry. Music consumption was not restricted to be bought and played through gramophones anymore, but was available free to listen to via radio devices. Music publisher and other business people regretted this new development, as they worried about the value and durability of music and dwindling sheet sales. Although music got more awareness in this time through radio, this crisis led to a large decline in recorded music sales, which was also caused by the economical recession in the 1930s. Consequently, record labels saw radio broadcasters either as competitors or as necessity than an opportunity to collaborate (Renner 2004; Hull 2004). Bing Crosby’s records, for example, were released with the stamp ‘Not licensed for radio airplay’ (Peterson 1990). The free availability of music via radio and world economy crisis in 1929 and 1930s were responsible for a 90 % decline in the 1930s (Huygens et al. 2001; Renner 2004; Baskerville and Baskerville 2009). However, the regeneration of the music market came through song-plugging in films and music-based films, focus on big bands and their singers as solo artists, and worldwide exploitation of music and global recognition of US radio stations in the Second World War spread by American soldiers. 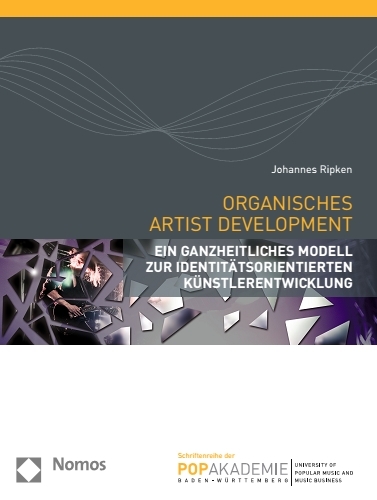 Renner, T. (2004).Kinder der Tod ist gar nicht so schlimm – über die Zukunft der Musik- und Medienindustrie. Frankfurt/Main: Campus Verlag GmbH. This entry was posted in Music History, Music Industries and tagged Music History, Music industries. Bookmark the permalink.